LSC works with schools and nurseries across the UK supporting and enhancing the delivery of PE and sport. On request, our senior management team can support you in developing a high quality PESSPA curriculum. We are well supported by education specialists and those with a knowledge of Ofsted inspection. Highly trained and carefully selected staff, Enhanced DBS checked, first aid and safeguarding trained. Support and develop your staff so lessons become more engaging and progressive. Support you to help your learners become confident, resilient, and responsible. Utilising national curriculum principles where appropriate. Benefit from our in-house quality assurance team, ensuring our staff are always at their best and making a positive contribution to your school. LSC organises FREE schools competitions for school teams to participate in, broaden your pupils experience in competition e.g. netball, football and cricket. If you would like to receive a FREE, no obligation taster session and meeting with us, please complete the contact form. LSC understands how each school is different and has different needs. With over 20 years of experience, it’s one reason why we are proud to work with a range of nurseries, primary and secondary schools in Leeds, Bradford, Liverpool and Greater Manchester areas. We work alongside Special Schools and OutReach UK, an organisation which delivers a focused mentoring programme. Teaching Staff CPD : Working closely with your teachers to develop their ability to deliver high quality PE. Mentoring : Our coaches can work with individuals or small groups during lesson time following our specifically designed programme. Our team of dedicated teaching, coaching and education specialists are on hand to support and advise your school. All lead staff are qualified to a minimum of NGB Level 2 in at least one sport. All LSC Staff hold an up to date DBS, Emergency First Aid and Safeguarding Children certificate. Staff will provide the schools with their own set of National Curriculum PE & Sports lesson plans, as well as providing regular pupil assessments which can be used for any Ofsted Inspections and parents evenings. On a half-termly basis, all of our delivery staff are observed by our Quality Assurance Team and feedback is provided to the individual school. Every LSC School Partner is welcome to attend our FREE School’s Competition Programme. One competition is organised every half-term for schools to bring children to participate in. What are the benefits of working with LSC coaches? LSC Staff support children in their development of social skills, confidence, improved behaviour, developing relationships, inclusion and team building, as well as the obvious physical benefits which are associated to regular exercise. Who are the LSC staff delivering to my children? We have a dedicated coaching and mentoring staff who are qualified to a minimum of NGB Level 2 in at least one sport. All LSC Staff hold an up to date DBS, Emergency First Aid and Safeguarding Children certificate. Staff will provide the schools with their own set of National Curriculum PE & Sports lesson plans, as well as providing regular pupil assessments which can be used for any Ofsted Inspections and requested to be seen by parents. On a half termly basis, all of our staff are observed by our Quality Assurance Team and feedback is provided to the individual school. We are proud to work a range of nurseries, primary and secondary schools in Leeds, Liverpool and Greater Manchester areas. In addition, we have a proven track record of working alongside Special Schools and OutReach UK, an organisation which delivers a focused mentoring programme. he World Health Organization (WHO) regards childhood obesity as one of the most serious global public health challenges for the 21st century. Obese children and adolescents are at an increased risk of developing various health problems, and are also more likely to become obese adults. The National Child Measurement Programme (NCMP) measures the height and weight of around one million school children in England every year, providing a detailed picture of the prevalence of child obesity. The latest figures, for 2015/16, show that 19.8% of children in Year 6 (aged 10-11) were obese and a further 14.3% were overweight. Of children in Reception (aged 4-5), 9.3% were obese and another 12.8% were overweight. This means a third of 10-11 year olds and over a fifth of 4-5 year olds were overweight or obese. Data are also available from the Health Survery for England (HSE), which includes a smaller sample of children than the NCMP but covers a wider age range. Results from 2015 show that 28.2% of children aged 2 to 15 were classed as either overweight or obese. What do we offer within nurseries and schools? Can anyone join in with LSC sessions? Yes. 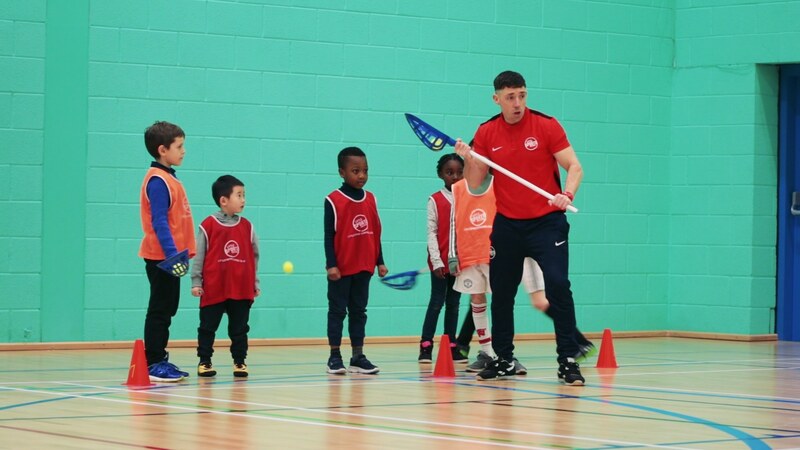 The LSC coaches deliver programmes which are tailor made to support the development of the individual child and are fully inclusive, from the ages of 18 months upwards. Pupils are challenged at a level relevant to their ability in order that they continue to progress and develop in a structured and appropriate way. Full session plans are provided to the nursery or school for each lesson we deliver. LSC have devised an exciting programme of competitive activities for pupils within your school. Throughout the school year, schools will compete against one another in a variety of sports. The best bit? It’s completely FREE to enter and we may even be able to help with transport! All partner schools are able to enter our competitions for FREE and we hope that you all embrace this opportunity as we envisage that the LSC Primary School Competitions will grow throughout the coming years. 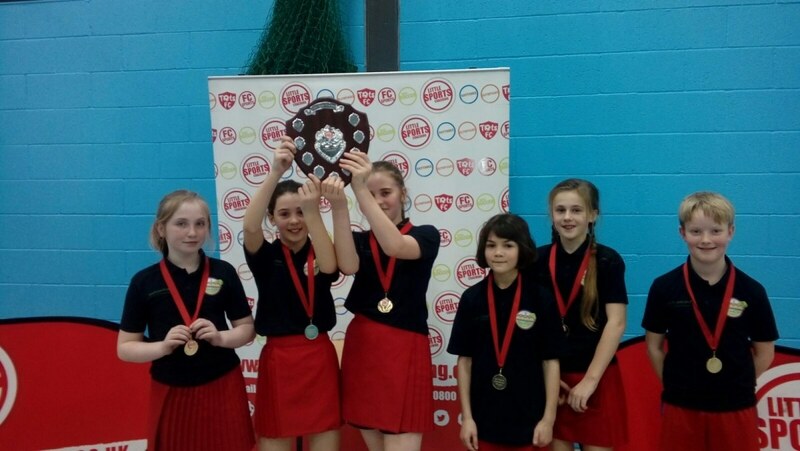 We have excellent experience of organising and running festivals, competitions and tournaments and we will guarantee that your pupils will have a wonderful sporting experience with us. In addition to your school entering, we are allowing schools to invite a partner school to join the competition, who are not currently receiving provision from LSC. This is at the discretion of every primary school entering the competition. Click here to read the review of last year’s Football Competition.